Revenge can be a sweet thing. For the San Antonio Spurs, who saw the 2013 finals slip away from them in the Game 6 heartbreaker and then lost Game 7 in Miami, these NBA Finals were a much different story. The Spurs took down the 2-time reigning champs, the Miami Heat, decisively, four games to one, with each win in double-digits and set an NBA record, winning by the largest average point differential ever (14). Games 1 and 2 in San Antonio – Heat 95 Spurs 110 and Heat 98 Spurs 96. 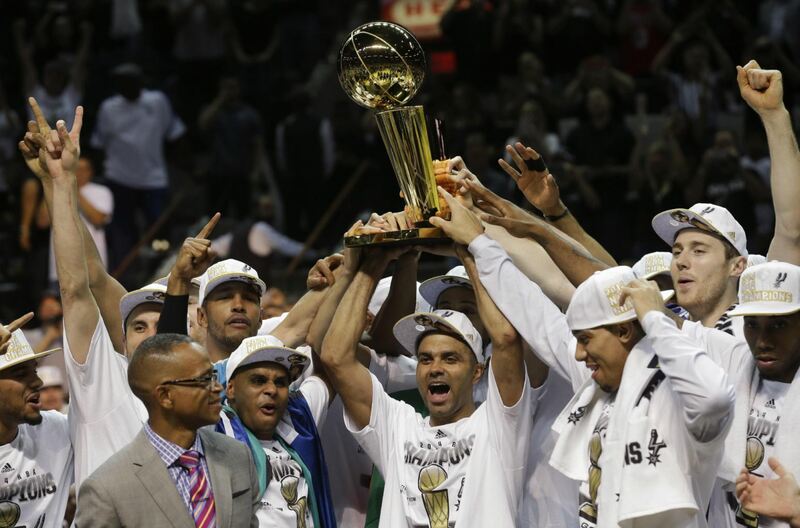 Games 3 and 4 in Miami – Spurs 111 Heat 92 and Spurs 107 Heat 86. Game 5 in San Antonio – Heat 87 Spurs 104. In Game 2, Tim Duncan tied Magic Johnson with the most career playoff double-doubles (157). Game 3 saw the Spurs set a record 75.8% shooting effort in the first half, where they took a 71-50 lead at halftime. Games 4 and 5 saw Kawhi Leonard log double-doubles (22-14 and 22-10). 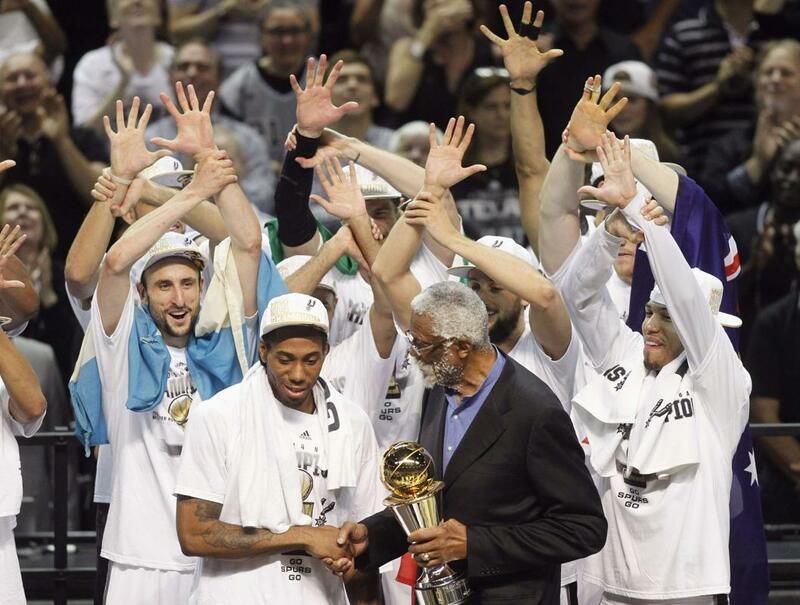 Though soft-spoken 22-year old sensation Leonard was named the NBA Finals MVP, the entire Spurs cast put on a show of basketball greatness, especially the back-to-back slam dunks of the Heat on their home court. Along with Leonard, teammates Tim Duncan, Tony Parker, Manu Ginobili, Danny Green, Boris Diaw, Patty Mills, Tiago Splitter, Marco Belinelli and the rest of the Spurs play probably the most unselfish game in the NBA, always looking for the open man with the best shot. Leonard joined teammate Duncan as one of three players to receive the MVP award at that age, though Duncan was a few months younger when he took home the trophy in 1999. The other 22-year old, the youngest, was Magic Johnson, who earned the trophy his rookie season, the only NBA player to ever do so. Leonard was extremely effective offensively, averaging 17.8 points on 61% shooting (including 57.9% from beyond the arc), and did, for the most part, keep 4-time NBA MVP and 2-time Finals MVP LeBron James in check. For Duncan, a 14-time NBA All Star who has spent his entire NBA career with the Spurs, and coach Gregg “Pop” Popovich, a 3-time NBA Coach of the Year, this championship became No. 5, with previous banners earned in 1999 (4-1 over the New York Knicks), 2003 (4-2 over the New Jersey Nets), 2005 (4-3 over the Detroit Pistons) and 2007 (4-0 over the Cleveland Cavaliers). Only the Celtics (17), Lakers (16) and Bulls (6) have won more titles. 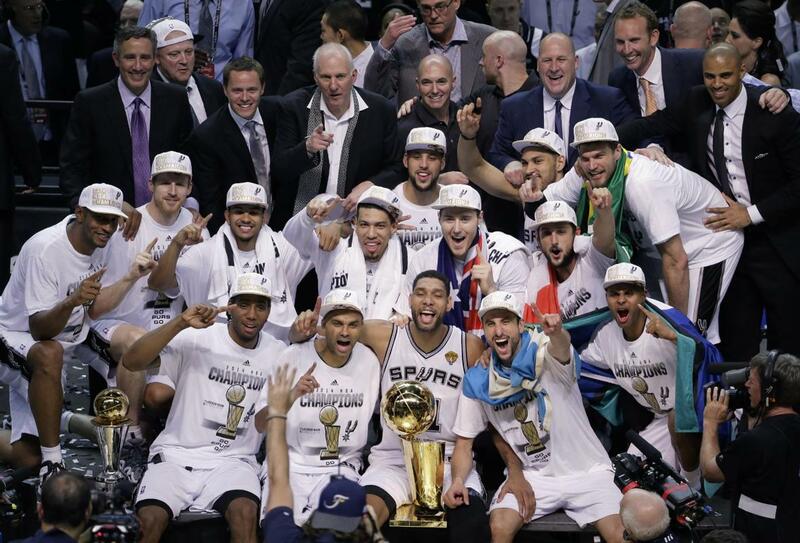 Congratulations to the San Antonio Spurs, 2014 NBA Champions.